The Lost Ethnographies reports on the methodological lessons learnt from ethnographic projects that, viewed superficially, failed. 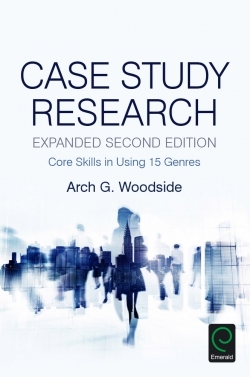 Experienced researchers write about projects they planned, and were excited about, which then never began, had to be abandoned, or took such unexpected directions that it became a different piece of work altogether. 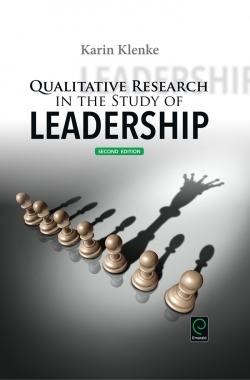 The topics and settings are varied and disparate, but the lessons learnt have important similarities. This collection focuses on absences; topics and settings that remain under researched; taken for granted aspects of social life that have not been scrutinized, and finally the potential insights that are gained when absences are carefully examined and explored. 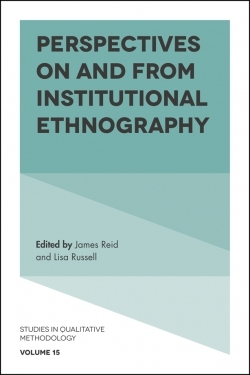 Readers will learn a great deal about research design, fundraising, writing up, access negotiations, serendipity in the field, and the complex interaction between the body and the brain of the ethnographer and the realities of ethnographic research. Maximising learning from the ‘failings’ of ourselves and of others is the positive message of the collection. The most poignant chapters are those in which the author ‘returns’ to reread and reflect on a past project; something that is not done often enough, partly because it can be painful. The accounts of projects which had to be abandoned or radically changed offer hope to researchers facing difficulties in their own investigations. 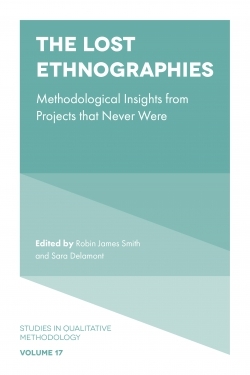 These reflections, on projects that were never even begun, show how to gain fresh energy and social science insight from apparent rejection, and the collection approaches the whole concept of lost ethnography in provocative ways. Robin James Smith is a Senior Lecturer at Cardiff University, UK, where he teaches sociology, ethnomethodology, and qualitative methods. He has published a number of articles from an ethnographic study of outreach work with rough sleepers, on qualitative research methodology, and studies of membership categorisation practices. Sara Delamont, FAcSS, is Emerita Reader in Sociology at Cardiff University, UK. She was the first woman to be President of the British Educational Research Association (BERA), and has been awarded the Lifetime Service Award of both the British Sociological Association and of BERA. Her most recent books are Embodying Brazil 2017 (with N. Stephens and C. Campos), Fieldwork in Educational Settings (Third edition) 2016, and Key Themes in the Ethnography of Education 2014.